30 days from now you could have your own thriving Magazine business ... you can work your own hours from home ... wake when you want ... revolve it around family commitments - and take control of your financial destiny once and for all doing something you LOVE! ***Click here to order the NEW individual themed MS Word versions of our Magazine templates from our store. Are you starting a magazine, but don't want to get stung by expensive fees to hire a designer to create an over-priced magazine template? Do you want to hit the ground running with your magazine production and get started right now - instantly? Do you have the skills, time and patience to design your magazine yourself, or would you prefer to download your magazine template in a ready to use package? What are your most pressing issues when it comes to designing your new magazine? Did you know that a minor magazine will turnover $70,000 per month, or $900,000 per year? Did you know that this website is the only place on the internet where you can get a professional magazine template and a complete step by step guide showing you how to start and run your magazine business for maximum profits? I know exactly what is required for a successful magazine design, and so I should, I have been runnning my extremely popular, highly profitable magazine for the past 3 years. One of the over-riding reasons for my continued success is the fact that I employed a professional designer to design my magazine template from day #1. Imagine starting and running your own multi-million dollar magazine from the comfort of your own home. 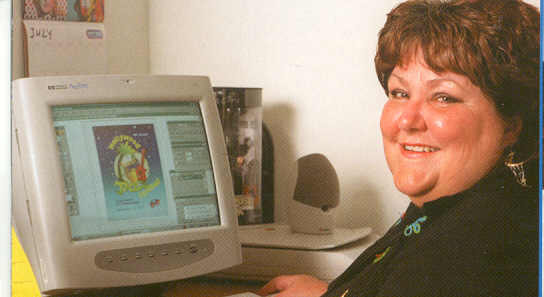 .... A minor magazine, with a circulation of just 10,000 copies, will turnover $70,000 a month or $900,000 a year. .... A large magazine, with a circulation of 100,000 copies, will turnover $700,000 a month or $8.4 million a year. .... A top magazine, with a circulation of 1 million copies, will turnover $7 million a month or $84 million a year! And all this DOESN'T include the revenue which can be earned from selling advertising space in magazines .... many quite average magazines charge $50,000 or more for just one page of advertising! 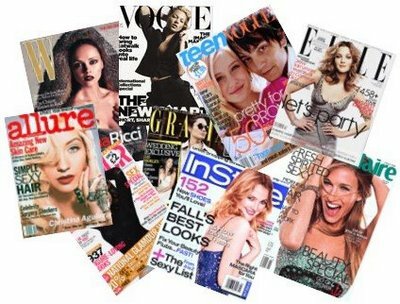 Magazines Have Equity Value : This is one of the most important concepts you must know about when entering the magazine publishing industry. Quite simply, when you create and publish a magazine title that title becomes valuable in itself, as a well known and respected trading name. This 'equity value', as it is called, is quite separate from the asset value of, for example, your business premises and equipment. And the equity value of a magazine can be very, very high indeed. The trading titles of top magazines periodically change hands for many millions of dollars. (It is reported that Felix Dennis, publisher of one of the biggest magazine success stories of recent years - men's magazine 'Maxim' - has turned down offers of US$100 million for his publication.) So, should you decide to sell your new magazine as a going concern in future it could make you very, very wealthy indeed - quite apart from the money you make from selling actual copies of your publication. When it comes to your magazine design, you want something modern, trendy and appealing to the eyes. My magazine template has been professionally designed by qualified designers and is waiting for you to add your content and begin publishing. You don't need to goto all the expense I did when I started my magazine, I have done all the hard work for you, and you can benefit from my expertise and experience for a fraction of the cost I paid to get my magazine designed. This is unlike any other Magazine Template product in the world today. The Magazine Template Package is a professionally designed 30+ page magazine template for Adobe Indesign. All the hard work has been done for you, all you need to do is add your content, and you'll be ready to hit the press and produce the first edition of your very own magazine. The Magazine Template package includes a professionally designed cover, contents pages, feature pages, column pages. All the headings, photos and text have been professionally laid out for you. You have full access to change the text, headings, fonts, photos or anything you like within the magazine template. Note, all template files come zipped in Adobe InDesign format, Quark format and Microsoft Word format. The template also has 5 full pages allocated for advertising so you can start making money from day 1 when you publish your magazine. Of course any of the above content titles can be changed and edited to suit your individual magazine content requirements. Click here to see a video of how easy it is to edit the Word version of the template to update some of the pictures. This magazine template cost me thousands and thousands of dollars to get professionally designed, and I am about to offer it to you at a fraction of that price. Click here to flip through the magazine template. 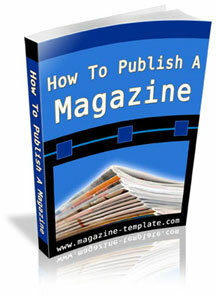 "How to publish a magazine" 200+ page complete study e-book. How a combination of simple marketing methods results in companies queuing up to advertise in your publication. By applying the specific information to your magazine/ newsletter idea you'll achieve phenomenal success. "How to format your Magazine Templates in InDesign" 12+ minute Camtasia instructional Video. The ordinary price of the Magazine Template Cover Package will be set at $67, however for a VERY, VERY, VERY short time only, you will get all 8 covers for FREE if you purchase the Magazine Template Cover Package right now. That's right you will pay NOTHING EXTRA and have 8 additional quality covers you can use for your magazines. Please hurry, as we'll be pulling this offer very soon. When you make your purchase the 8 covers will be included as part of your download pack. 4th Bonus - Lifetime membership to the Magazine Template magazine design, production and distribution forum. This is exclusive to purchasers of the Magazine Template. Exchange ideas, find contacts, and create joint ventures with other magazine publishers from all around the world. 5th Bonus - Lifetime Upgrades to your Magazine Template Package. This will ensure your templates will always work with the latest versions of your software. 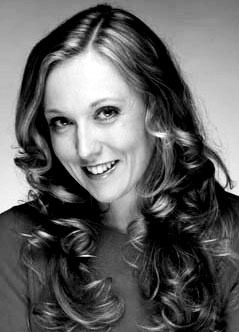 6th Bonus - A free email consultation with one of our professional, experienced designers. This will ensure you hit the ground running, and don't hit any technical glitches. Woah...that's some list of free gifts right? That's right! Together they're worth well in excess of $258! TRY THE MAGAZINE TEMPLATE FOR A FULL 365 DAYS! My goal is for you to be a successful magazine publisher. What I am about to offer is absolutely crazy, but I want you to have complete peace of mind, and to know you are not being ripped off. I am giving you a 100%, no questions asked, ironclad money back guarantee. Try my Magazine Template for 365 days, and if for any reason at all you want to return my Magazine Template, you can do so, and I will personally promptly refund all of your money. No questions asked. Basically you have nothing to lose! I believe in this product 100%, and I know you will benefit from all my hard work, and that this template will propel your magazine to become a great success. You can't beat a deal like this. I am taking all the risk! Order now and get started. This may be the day your life changes for the better. Don't struggle by yourself, learn from my experience and knowledge. 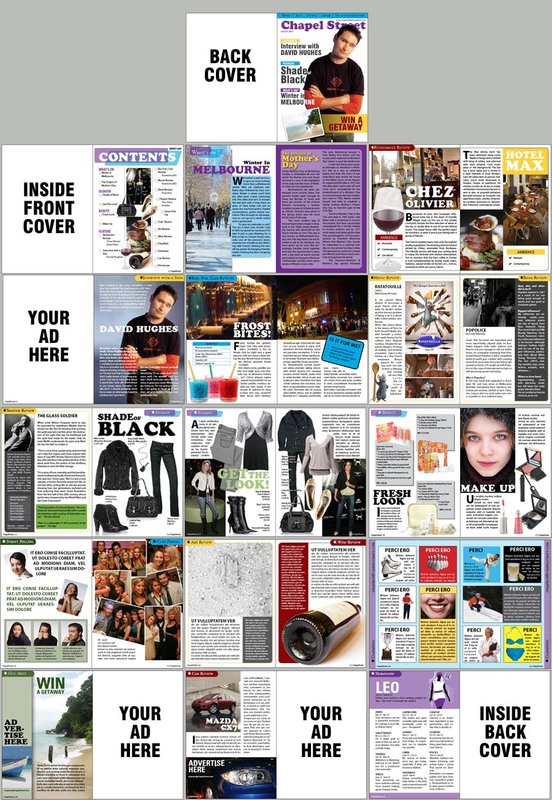 Everything you need is contained within my Magazine Template Package. The journey to your magazine publishing success starts here. Good luck, and god bless. Here's what some real people just like yourself had to say about the Magazine Template Package! I am very excited about this program and very happy I bought it. I recommend it to anyone--- knowledgeable or not----who wants to create a magazine. Hello, I ordered the Magazine Template and it is fantastic. Myself and a partner recently came up with a great idea for a magazine and we have decided to go ahead on it. Unfortunately, neither of us are very good with the program INDESIGN. I am an artist and have not used it for the work that I have done so far and he is a businessman/salesman. We decided to see if we could find a templateÂ after searching Â–I mean SEARCHING---the internet, we ran across a link to the Magazine Template web site. (magazine-template.com) and checked it out. Well, it blew my mind. Here was everything we needed to create our personal pages for our magazine with simple directions (they even have a little video on their website to show you how easy it is). They also gave links for further tutorials, to really make it easy. I am very excited about this program and very happy I bought it. I recommend it to anyone--- knowledgeable or not----who wants to create a magazine. And the price! How can you beat that? I canÂ’t even imagine what I would have to pay if I called another graphic designer to layout the magazine for me (one who actually paid attention in class when they discussed InDesignÂ ) I am truly a happy camperÂ no---magazine publisher! Wow! I have searched the whole internet for a software/package like this and nothing. The only thing that i have found was the magazine-template. It was MORE that i could dream of. Magazine-Template is Absolutelly Fantastic!!! If you are thinking seriously for a proffessional pack...Magazine-Template is the answer!!! Using the magazine template, I was able to quickly and easily launch my new magazine http://websitemarketingmagazine.com and I now have a subscriber base of 160,000 digital copies and 60,000 physical copies being circulated every month. Thanks guys, you have made my dreams a reality. Downloading the files and using them was a snap...and thereÂ’s a lot of BANG for the BUCK! 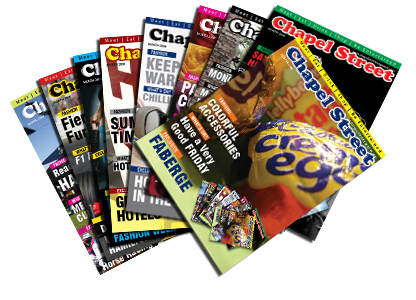 "IÂ’ve taken over an existing Shoppers Guide and turned it into a regional Â“News & ShopperÂ”. This is our 5th year in print. Changing the format from a Â‘Shoppers GuideÂ’ to a Â“Community NewspaperÂ” requires a more Â‘polishedÂ’ look. Downloading the files and using them was a snap, everything is well labeled and organized. 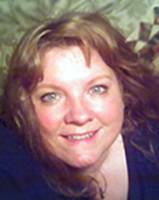 I was most impressed with the E-book, (what a resource! ), and have enjoyed working with the InDesign templates. Also, the Forum links to other publishers are wonderful; I learned some new tricks on the first visit! Overall, thereÂ’s a lot of BANG for the BUCK! In the magazine template package. Thanks!" The Magazine Template saved me at least 2 weeks work! I was in charge of producing this years school magazine. I didn't want to start from scratch, so got approval to spend the $67 on the Magazine Template pack and it saved me at least 2 weeks work! I highly recommend the magazine template to anybody trying to produce a magazine. Our Busiess produces a monthly magazine for our customers based around architecture. I had a few quotes to get our design done that exceeded $1000 dollars in each case. We invested in the magazine template, and got out work experience kid to update the content for us. Thanks guys! Hi there, I just wanted to thank you for producing such a wonderful product! I am launching a bridal magazine, and needed something to get me started. I have been working on my content and am about to launch my first issue. None of this would have been possible without the magazine template. I run a bricks and mortar chain of cell phone stores across 4 states. I wanted to produce a magazine that we would make available to our customers in store. I checked with some local design firms, and the y quoted anywhere up to $10,000 to produce the template for us. I got online and searched around and came across the magazine template. For $67 it was worth the gamble. It certainly paid off! This is exactly what I was looking for - thanks a bunch guys! Look at it this way -- $67 is really a painless drop in the bucket to be able to get your hands on the Magazine Template Package and start using it right away to hit the ground running and publish your very own magazine! It's easy to get started right away. Just click the 'BUY NOW' button below. Order right now for only $67 (even if it’s 3:00 am in the morning). After the intoructory period, the price of The Magazine Template Package will revert to $240. So don't delay in ordering now to receive your 75% discount! Order now to get the whole package for $67! After midnight on The price will revert back to the normal price of $240. ORDER NOW TO SAVE DISAPPOINTMENT! Yes, I Just Have To Have This Incredible Magazine Template Package! Count Me In Right Now! Select your package and click the 'Add to Cart' Button Below To Order Securely! 1. The 30+ page Magazine Template in MS Word, Quark and Adobe Indesign formats. 2. The Instructional video + 2 Instructional videos for Word and 6 bonus videos for Indesign. 3. 9 bonus Cover Templates. 4. Lifetime membership to the Magazine Template magazine design, production and distribution forum. 5. Lifetime Upgrades to your Magazine Template Package. 6. A free email consultation with one of our professional, experienced designers. Click below, you will have a chance to review your order. Remember you're covered by my 365 day guarantee. Do you have a question? Click below to contact our support staff. Don't forget the special price of $67 will expire in ! After that, the price will revert to $240. Don't you owe it to yourself to try the Magazine Template Package today? P.S. Don't forget you can order at any time of the day or night and get instant download, so you'll be up and running in less than 5 minutes! Once your payment is received, you will be automatically re-directed to your download page where you will be able to instantly download all your Magazine Template files as well as your Bonus e-book course 'How to publish a magazine', as well as your Camtasia instructional video. P.P.S My Magazine Template really is the easiest and most pain-free way to hit the ground running when starting your own magazine. I have done all the hard work for you, and you'll benefit from my knowledge and experience for a fraction of the price you'd expect to pay a professional designer. And don't forget you're covered by my 365 DAY 100%, NO QUESTIONS ASKED, IRONCLAD MONEY BACK GUARANTEE! Select your package and click the 'Add to Cart' button above to order the Magazine Template now. and receive a Free Magazine Cover Template! Please fill in and submit the form below to get your Bonus Template and Mini e-course.